The 2012 Channel Seven Perth Telethon Weekend will be held on 10th and 11th of November at the Perth Convention and Exhibition Centre. 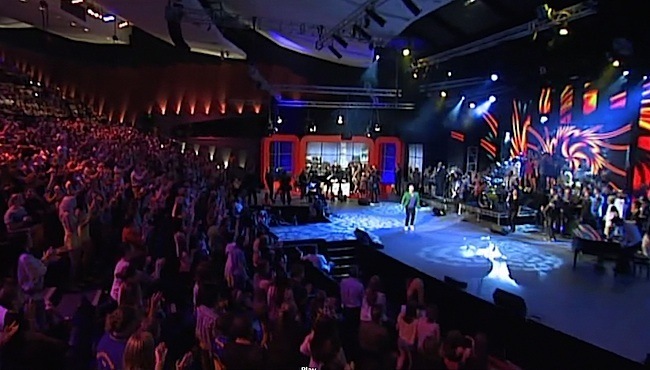 The live 26 hour appeal is held annually on the stage of the 2,500 seat Riverside Theatre at the Centre, and is televised on Channel 7 Perth and on the Golden West Network throughout Regional WA. Before moving to the Centre, it was held at TVW Channel 7’s studios at Tuart Hill (later known as Dianella) after being established in 1968 by a group of senior television executives. Telethon has since raised over $103 million and provided much needed financial assistance to a significant number of charitable organisations, children’s hospitals and research/medical facilities in Western Australia. 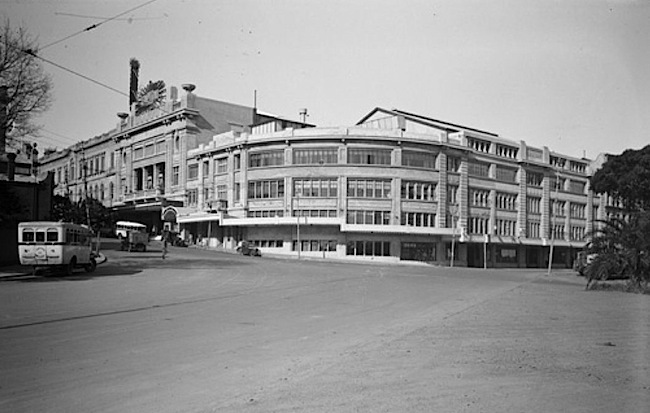 Well before the Perth Convention and Exhibition Centre, the Esplanade Train Station and the Transperth City Busport, or the car park on the corner of Mounts Bay Road and William Street, there existed on the same site a fairground called White City, which was established by a charitable group called the Ugly Men’s Voluntary Workers Association. It was a fund raising body created during the first world war (1914-1918) that was eventually replaced by the Lotteries Commission. Charitable assistance was thus provided to the ‘sick poor’, neglected children, old people who were destitute and women who had been deserted or who had ‘fallen’ pregnant. The unemployed were assisted by grants of wages, or rations, in return for relief work provided by the government. Then the massacre of our young and married men during the war period put added stress on those left at home who had to battle on. For in the midst of the Great War women were being widowed and children left fatherless and the family left without a bread winner. Following on from this period of sacrifice and loss came the Great Depression, until the second world war, and a mining revival in WA enabled the economy to recover. 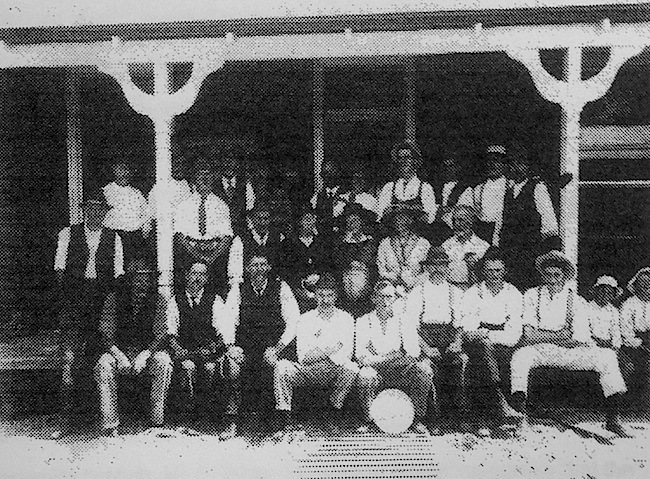 The Ugly Men’s Voluntary Worker’s Association Inc., was established in Western Australia in 1917 with a membership drawn mainly from the lower and middle working-classes. 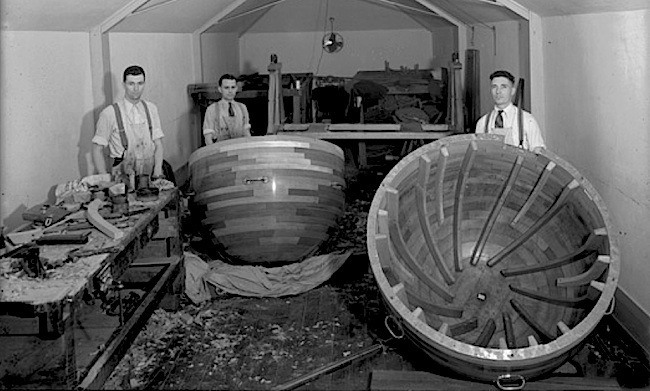 The Ugly Men initially organised busy bees and raised funds and built houses for war-widows. Later their fundraising was directed to supporting cases of hardship in the general community, where they provided handouts such as cash, food, bedding, clothing, boots and blankets. Light relief for the residents of Perth came from the recreation and entertainment precinct which centred around the Esplanade. Over the decades this involved an amusement park (White City), theatre (Capitol), ballrooms (Embassy and Government House), Esplanade recreation ground, Wanda Tennis Club, Perth Bowling Club, tea rooms, Perth City Baths and Royal Perth and Perth Flying Squadron Yacht Clubs, boxing tournaments, cricket and other sports, some of the Perth’s earliest cinemas (Kings and later Spencers Esplanade Gardens), live theatre productions, orchestral performances, social dancing and formal balls. Early rock ‘n’ roll concerts with associated radio broadcasts (Embassy Ballroom), televised rock concerts (Capitol) and the early ABC radio studios located close by in the Stirling Gardens. 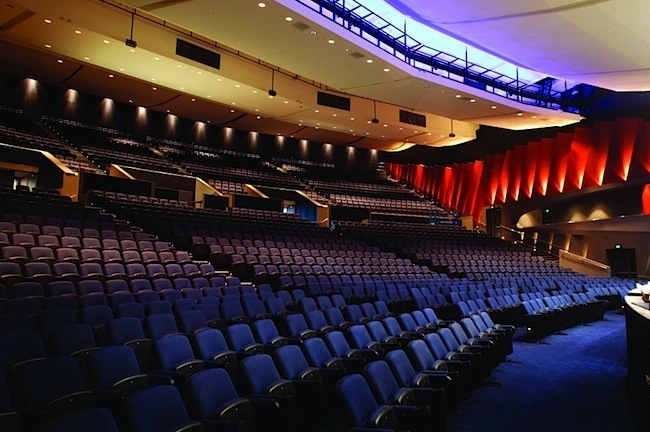 This evolved over a period of decades until it culminated in the Perth Convention and Exhibition Centre, with associated ballroom and theatre. The leaders of the Ugly Men’s Association included the long-serving president Alec Clydesdale, a racecourse owner (South Perth’s Kensington Park and Belmont’s Goodwood Racecourse (1912-1950)), a boxing promoter, a South Perth mayor (1917-1921) and a member of the Western Australian Legislative Council for Labor from 1932 to 1938. Also involved was another prominent racecourse owner Paddy Connolly, who had a controlling interest in Helena Vale racecourse. It was the the Ugly Men’s Association which was responsible for White City, a group that began their charitable activities by assisting poor families who were living in inadequate housing. 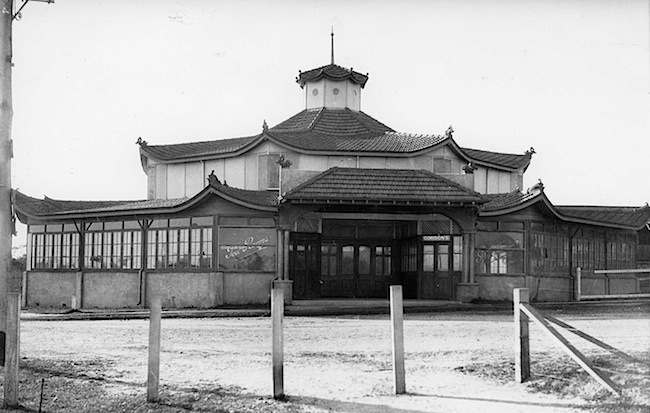 As money raisers, they built fairgrounds in both Perth (White City) and Fremantle (Uglieland). 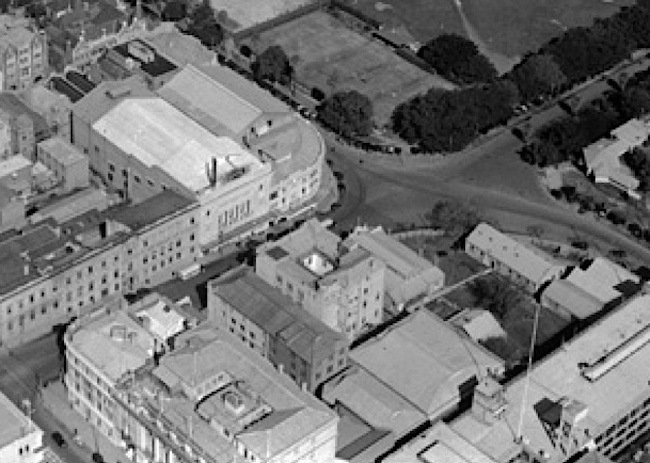 The Fremantle grounds were located on the corner of Market and Phillimore Streets (now Pioneer Park, opposite Fremantle Railway Station). Yet another fairground was sited in the Goldfields. Branches of the Ugly Men’s sprung up in Bassendean, Carlisle-Victoria Park, Rivervale, Fremantle, Leederville, Maylands, North Perth, Subiaco, and Wembley Park. 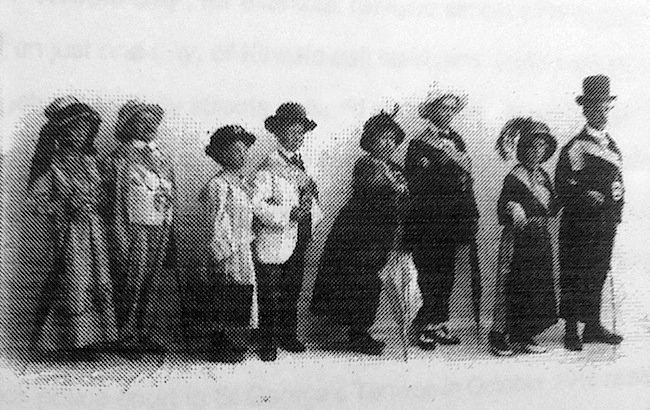 Fancy Dress Ball where children are dressed up as the Ugly Men’s Committee at the RSL Hall in Carlisle to aid St John Ambulance. 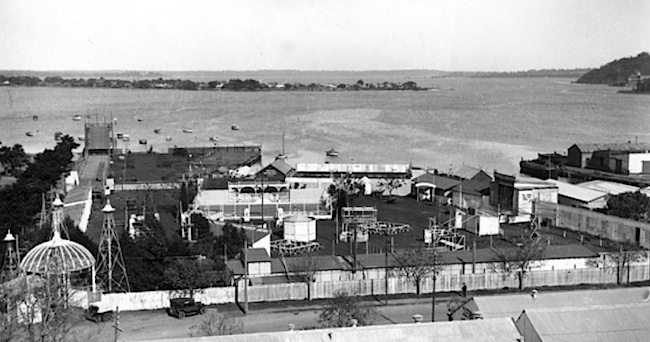 The fairground started off in the gardens behind the Supreme Court, but complaints about noise and the cost and time involved in constructing and ongoing changes to structures, saw the ground moved in 1922 to a more permanent area bounded by Bazaar Terrace (Mounts Bay Road) and William Street. The fairgrounds became popular nightlife venues that hosted regular dances and places where a wide variety of charities raised funds. There was a real carnival atmosphere and amusements included wheels and swings, games of chance, a merry-go-round, various novelties and sideshows, a contortionist, a snake charmer, trapeze artists, open-air concerts, fancy dress contests, ventriloquists, magicians, a lightning sketch artist, Punch and Judy shows, amateur boxing tournaments, tug-of-war contests, log chopping, a rodeo exhibition, a miniature railway, bands and numerous vaudeville attractions. 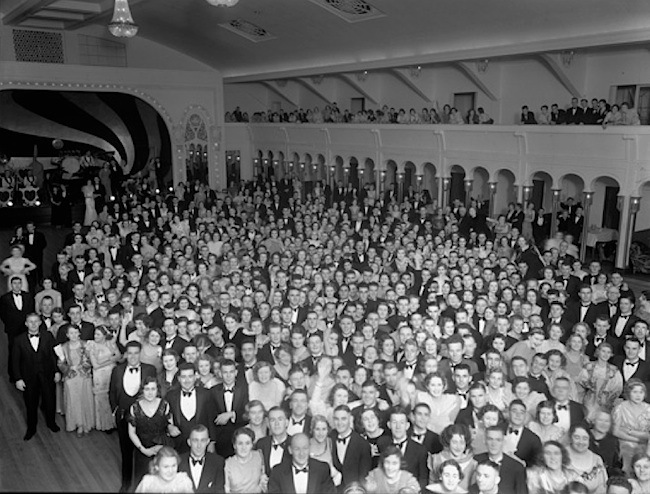 The venue was popular with Perth’s Indigenous people as well as the European population, until the local aborigines were banned from the venue, and at one point banned from the city, by an element of Perth society (in 1927, aborigines were banned from entering the centre of Perth, and this remained in force until 1948). There was a huge open-air dance floor with dancing competitions, such as the fox-trot. The toboggan was a popular feature of White City, riders sliding to the bottom in cars from some 350 feet up. To engender public enthusiasm, parades were conducted down Perth’s streets leading to the events at White City, with The Perth City Band and Scottish Pipers on parade and a prize of £5 given away each night to a ticket-holder, as an added enticement. All this fun and frivolity did not go down well with the morally righteous in the community. There was an ongoing campaign in the newspapers, backed by groups including the Council of Churches, the Women’s Guilds of WA Inc., the National Council of Women of WA, the Women’s Christian Temperance Union of WA, and the Young Women’s Christian Association of WA who wanted White City closed. 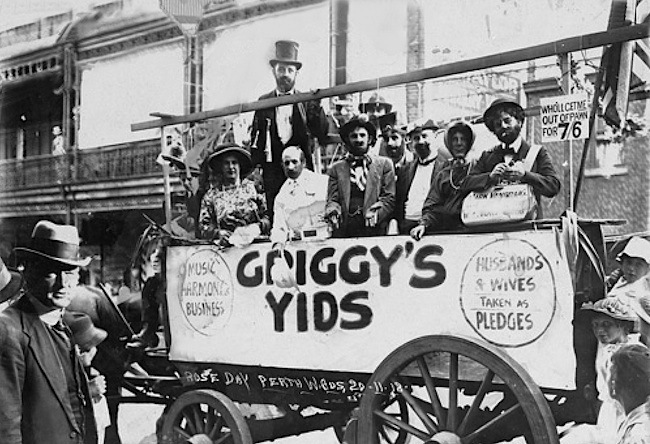 They were opposed to the use of raffles and chocolate wheels to raise funds for the needy, as gambling was deemed sinful. They were also against dancing, which was considered decadent. Others considered the fairground to be aesthetically unappealing and an eye sore in comparison to the more grandiose structures the richer establishments could afford. One newspaper reader was motivated to submit the following to The Daily News of Tuesday 16th April 1929. Though at the time, it seems to be like Northbridge is today, with alcohol the main culprit, giving rise to reports of a good deal of fighting and lurid language being carried over the Esplanade and girls misbehaving themselves, some of this attributed to the indigenous folk. This led to a call for, “…neither half-castes nor aboriginals be permitted to frequent the White City on any pretext what so ever”. Before World War I, most hotels and public houses in Australia closed at 11 or 11:30pm, then six o’clock closing was introduced in most states in an attempt to reduce public drunkenness, improve public morals and get men home to their wives earlier. 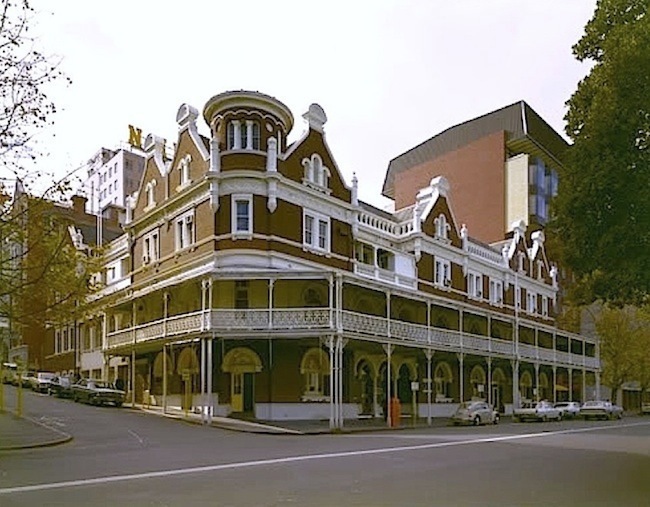 In 1897, Western Australian 6 o’clock retail trade closing was introduced and The Woman’s Christian Temperance Union and the The Independent Order of Rechabites wanted the hotels to close at the same time. They campaigned successfully in other states for the 6 o’clock closing, though Western Australia adopted a 9pm closing time, with a drinking age minimum of 21 until 1970, when the age was reduced to 18. Sly grog shops appeared as unlicensed hotels or liquor-stores, which illegally sold alcohol, to maintain the flow after formal closing hours. 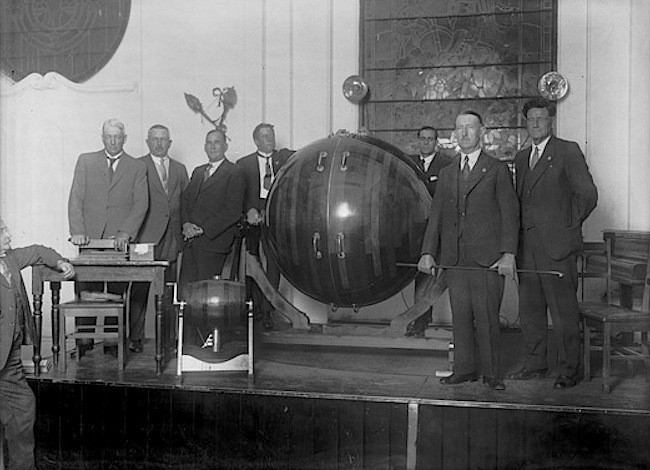 The Temperance groups had more success in the United States where the manufacture and sale of alcohol were banned nationally from 1920 to 1933. Though the Prohibition of alcohol in the US was a failure as bootlegging became widespread and organised crime took control of the distribution of alcohol. The closest pub to White City was the Hotel Esplanade, which had opened in November 1898 and looked over the Esplanade Recreation Ground. “The Esplanade Hotel was run by Elsie Plowman. Her son Bill became a news photographer at The West while Paul Plowman (Bill’s son? ), who from memory worked at The West, Channel 10 and more recently as head of Colin Barnett’s government media office. The Temperance groups in Australia were affiliated with the Christian churches, particularly the Nonconformist churches and Evangelical Anglicanism. 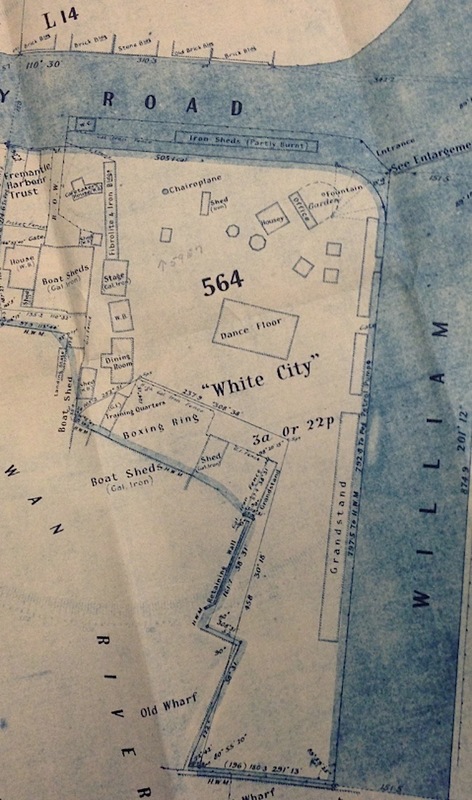 They and the other lobbying parties wanted the city rid of White City, regardless of the good it achieved. However, parliament also realised that without this income it would not be able to maintain the state’s hospitals nor the many deserving charitable organisations. Yet with approaching elections, the influence of the moralists was enough to persuade politicians to close White City in 1929. This coincided with the newly established Town Planning Commission, which also called for it to be knocked down so that beauty and healthfulness would replace squalor and the indulgence of vicious instincts. Being seen as “a magnet for larrikins and loafers” and “a terrible menace to the youth of our city”. This was after The Town Planning Development Act was passed in 1928 and a Town Planning Board was established the next year. The preservation of river frontage for the public was a principle that had been established by the Board and was further enshrined in the Gordon Stephenson and Alistair Hepburn Plan, that was commissioned by the State Government in 1953. The plan was completed in 1955 and brought into operation with the Metropolitan Scheme Act (1963). The Lotteries Commission of Western Australia was created in 1932 by an act of the Western Australian parliament, in the darkest hours of the Great Depression, to raise funds for hospitals and community organisations, taking over many of the activities of the Ugly Men’s Association. Long-serving president and vice-president of the Association, Alec Clydesdale and Harry Mann, were both appointed to the first Commission board. Tickets for the No 1 Consultation went on sale in late February 1933 at a time when there were 35,000 unemployed people in Western Australia. 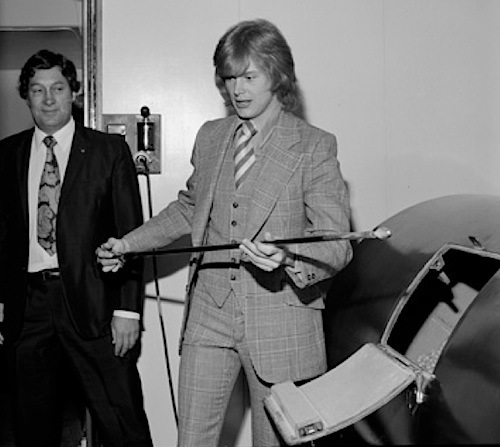 TVW Spellbound personality, Bill Redfrey ‘Moon Man’, was photographed drawing the winner of the lottery on 22 July 1969. 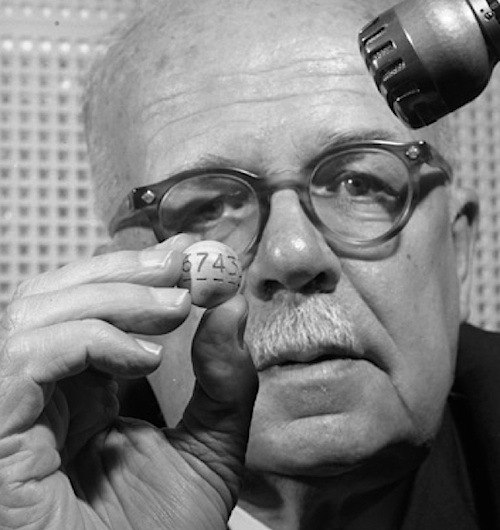 The lottery results and a small photograph of Bill were published in the West Australian Newspaper on 23 July 1969, p. 15. The moon landing was a few days earlier (July 20, 1969), hence the choice of the ‘Moon Man’ to draw the lottery. 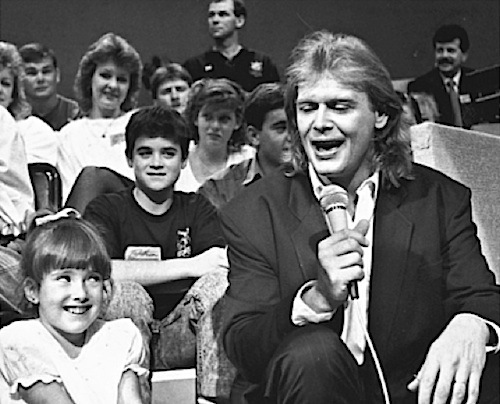 John Farnham also made Telethon appearances in 1989 and 2007. The Lotteries Commission served an important charitable service during a period when the Western Australian unemployment rate rose to over 30%, yet despite this, the moral issue was still very much alive with the same groups strongly opposed to the Lotteries Commission, thinking that winnings gained from a marble draw was worse than the plight of the poor and needy (no doubt the moralists of yesteryear would be horrified to see modern Perth with its Casino. TAB, soccer pools, Lotto, Scratchies and internet gambling). Alec Clydesdale was forced to give up his position of Chairman of the Lotteries Commission in 1934 on the grounds that it was illegal for members of parliament to also hold an office of profit under the Crown. 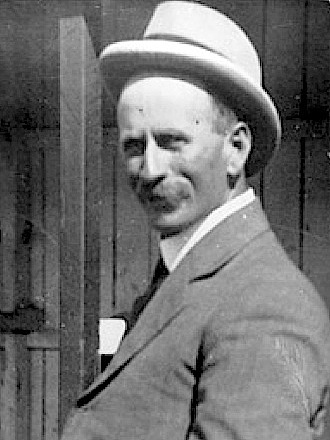 Fellow Ugly, Harry Mann, a former detective who, amongst other things, oversaw gaming and racing, was elected to the Legislative Assembly seat of Perth as a Nationalist between 1921 and 1933, but he also was caught up in the controversy which erupted over the Lotteries Commission and lost his seat, as did John Scaddan, the Minister who introduced the legislation to legalise lotteries. The two weekend newspapers had earlier been restrained by law from conducting cross-word competitions of a gambling nature, and were accused of running a relentless vendetta against the two candidates. The Lotteries Commission was further hampered by being denied permanency by the Legislative Council each year until 1944, reflecting continuing doubts over the moral issues. By this time it had raised almost one million pounds in eleven years. The Ugly Men’s Association in WA became inactive after the mid-1930s and was declared defunct in 1948, though the racing and trotting fraternities continued to conduct fairs to collect money for good causes for many decades to follow. Ugly Men’s president Alec Clydesdale had a long association with the racing industry from the days of propriety tracks in South Perth, Goodwood and Canning Vale and was a boxing promoter. He was the South Perth mayor from 1917 to 1921 and a member of the Western Australian Legislative Council for Labor from 1932 to 1938. Clydesdale died in 1947 after a long and very active public life. South Perth’s Clydesdale Park was the site of the stables of the South Perth Racecourse (later known as the Kensington Park Racecourse). Prominent Ugly Man, and original owner and builder of the Kalamunda Hotel, Paddy Connolly (1866-1946), bought a controlling interest in Helena Vale racecourse in the early 1920s, and which continued in operation until its closure in the 1970s. Connolly was a generous benefactor, known as ‘The Prince of Givers’, so when he died on 28 December 1946, much of his estate was bequeathed to children’s charities and almost £150,000 to country hospitals. Although a successful businessman, Paddy’s first love was horses and campaigned Blue Spec, the first Western Australian owned horse to win the Melbourne Cup. Back in 1929, a more acceptable replacements for White City, was manifest in the form of The Capitol Theatre, which was built that year, and the Embassy Ballroom next door. Towards the end of the Capitol Theatre’s life it became a popular venue for Australian and overseas rock stars. Everyone from Gene Pitney, Gerry and the Pacemakers and Dusty Springfield in 1964, the Rolling Stones, Dave Clark Five, The Seekers and The National Bandstand Tour in 1965 with Max Merritt and the Meteors, Lynne Randell, Jade Hurley, Ray Brown and the Whispers, Merv Benson, Bryan Davies and Billy Thorpe and the Aztecs, then there was Bob Dylan in 1966 with other popular acts to include Normie Rowe and Johnny Young. National Bandstand’s ‘cavalcade of stars’ at the Capitol Theatre in 1965. 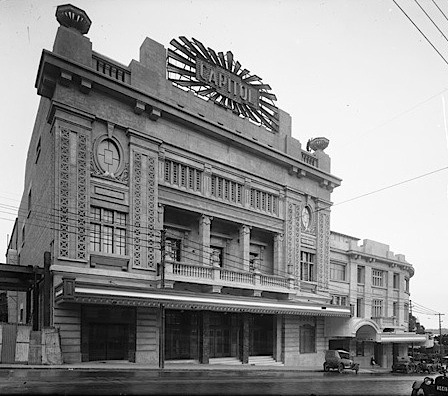 George Temple Poole designed the theatre which was located at 10 William Street, Perth, which was officially opened on the 4th May 1929 and demolished in 1968. Former TVW cameraman, set designer and graphic artist Brian Harrison-Lever kindly provided these anecdotes about the Capitol as a Rock concert venue. 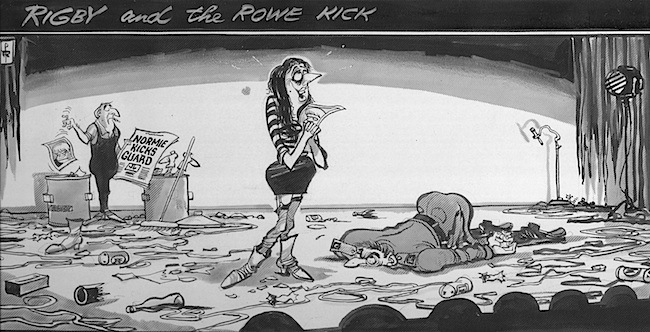 “One outside broadcast that made headlines around Australia and well worth a mention here was the Normie Rowe Concert from the Capitol Theatre. 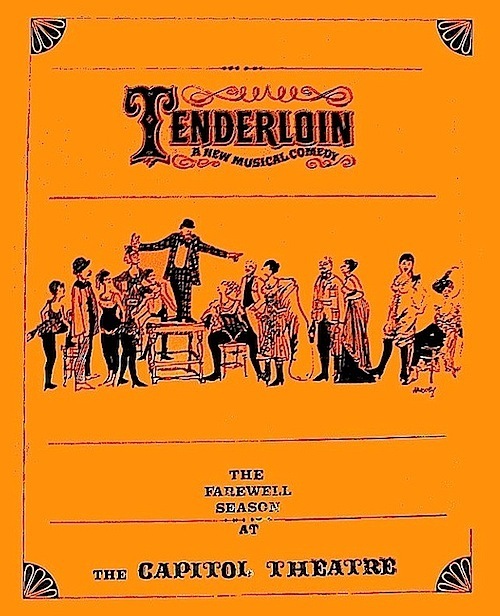 Tenderloin was produced and directed by Frank Baden Powell and Coralie Condon. 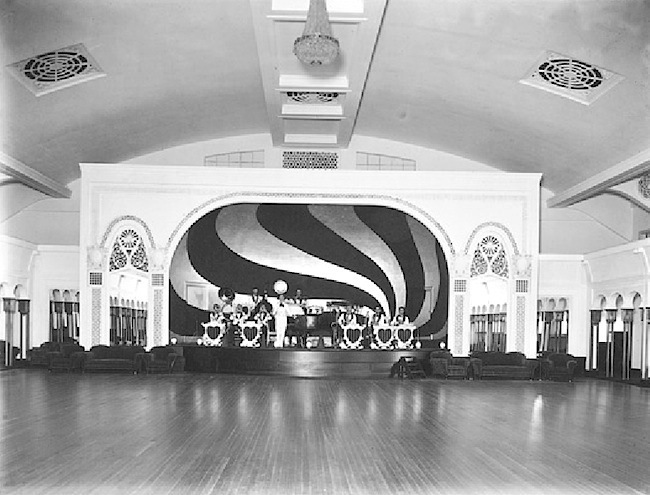 The Coca Cola Hi Fi Club Hops at the Embassy Ballroom started in 1959 and ran until 1963, following the change in music brought about by Elvis Presley and Bill Haley and the Comets. The Hops were run by radio announcer Colin Nichol, who was also President of the local Club. These Coca Cola Hi Fi Club events coincided with the beginning of television in Western Australia. Prior to this, many of the hotels had talent quests in the 1950s and bands not only had the Embassy and Canterbury Court, but also the Cottesloe Civic Centre, Government House; and Romano’s and La Tenda Night Clubs. In 1960, TVW launched Teenbeat with the resident band being Clive Higgins and The Zodiac All-Stars, helped by Colin, as were many other artists who made their way onto the program. It was also the year that Colin was enticed to change stations from 6PM to 6KY-NA where he became the top rating DJ in Perth, and station Programme Director, whilst 6KY went to Number One as well. This was orchestrated to suit Coca-Cola, with the Hi-Fi Club now following Colin to the Bob Mercer managed station. 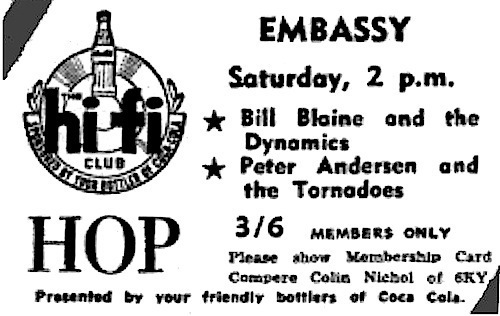 Colin hosted the Coca Cola Hi Fi Club Hops at the Embassy Ballroom from 1959 until 1963. They enjoyed an attendance of between 1,000 and 2,000 teenagers attended these Saturday afternoon dances, until there was competition from Canterbury Court, which ran gigs at the same time. 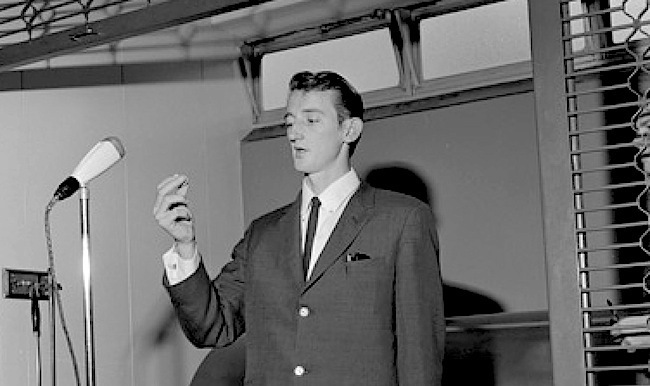 To gain entrance, the teenagers had to be members, with Membership Cards obtained through Colin’s Hi Fi radio show on 6KY, which was broadcast from 5 to 6pm, five nights a week. Every state club ran on the same format. Johnny O’Keefe and the Dee Jays were the House Band in NSW; Col Joye and the Joy Boys in Victoria and The Penny Rockets in South Australia. These bands made guest appearances on the Perth show, where Bill Blaine and the Dynamics were the house band. Coca-Cola’ subsidiary Gest (Golden West Soft Drinks) also sponsored the Club 7 Teen teenage shows on TVW Channel 7 which were hosted by Gary Carvolth from 1963 to 1964, then by Johnny Young. Interestingly, Gary took over the 6PM monday to friday radio shift to be then sponsored by Schweppes soft drinks. The time slot that was vacated by Colin Nichol. Gary also presented teenage hops at the Pagoda in Como for Pepsi, even though the building at that time had a large Coca-Cola sign on the roof. One of the biggest critics of both White City and the Lotteries Commission was an organising body of the feminist movement in Australia that was founded in 1909, called the Women’s Service Guilds of Western Australia (WSG). 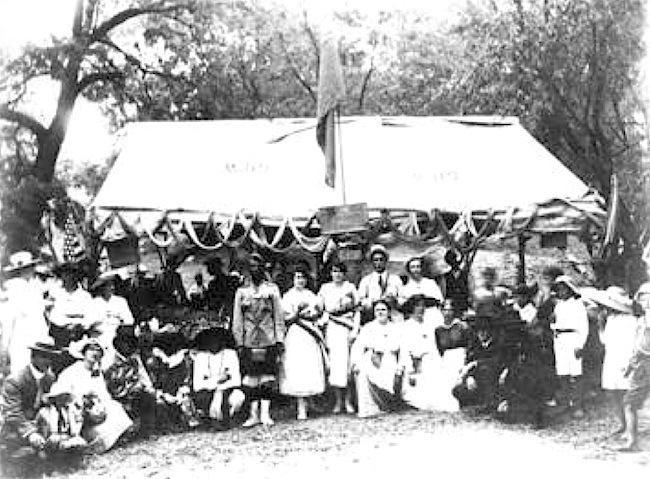 The WSG was affiliated with the Karrakatta Club, the Woman’s Christian Temperance Union of Western Australia and international suffrage movements. Notable members include Edith Cowan (the first woman elected to an Australian parliament) who cofounded the WSG with Bessie Rischbieth, with broadcaster Irene Greenwood being a prominent member. They founded the Kindergarten system in WA, the local Girl Guides Association and fought for the Mount Henry Hospital home for elderly women. A hospital funded by the Lotteries Commission, which ironically the WSG was against as it was deemed to be gambling. 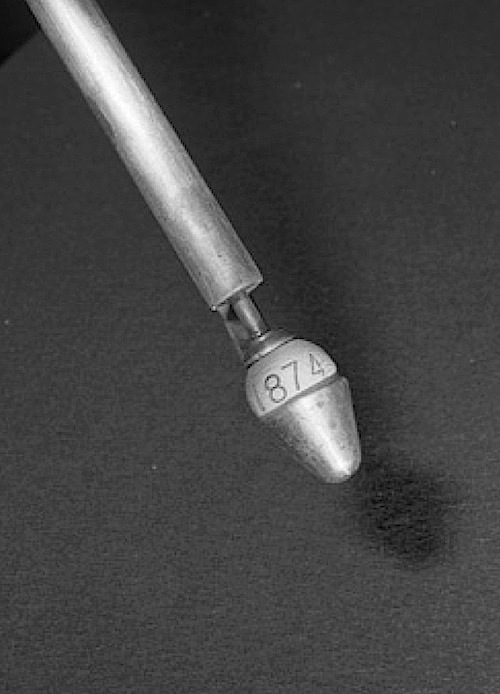 The WSG ceased its operation in 1997, nearly 90 years after it began. 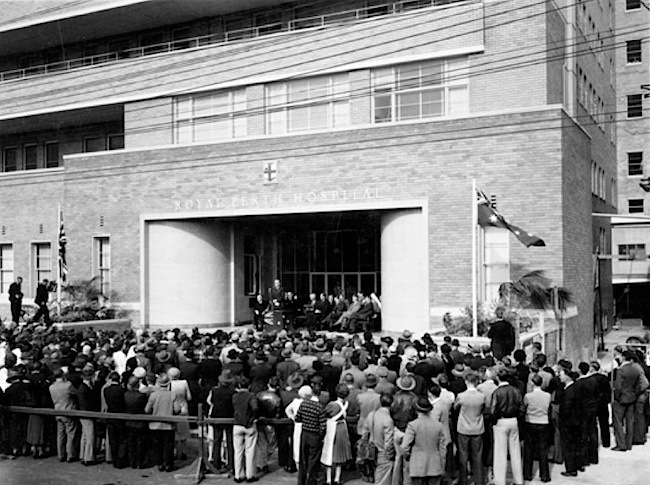 One of the biggest works undertaken by the Lotteries Commission was the Royal Perth Hospital, which was opened on 3rd June 1948, followed by the Mt Henry Hospital for aged women, which was built in 1951 and was funded entirely by the Commission. The Lotteries Commission continued to fund public hospitals for buildings, renovations and equipment. It continued the practice of providing funding for a third of the building cost, shared with the Department of Health and local hospital boards. Princess Margaret, King Edward Memorial, St John of God, the South Perth Community Hospital, Heathcote and the Claremont Mental Hospital, and many regional hospitals were assisted. Without the Commission’s support many hospitals, especially those in country areas, would have ceased to operate. The Lotteries Commission has since deviated from the original aims of the Ugly Men’s Association to now support sporting organisations, arts and cultural groups. Key broadcasting personnel, such as former Seven managing director Kevin Campbell was Lotteries Commission chairman from 2000 to 2004, with commission memberships going to Anne Conti (2001–2007) and Peter Holland (2002–2007). Kevin has also been a trustee of the Channel 7 Telethon Trust, amongst many other roles, and awarded a Member of the Order of Australia (AM) for his contributions to broadcasting and his community service activities. Anne Conti and Peter Holland both participated in Appealathon, where among Anne’s many roles was that of Honorary State President of Save the Children Fund, as was Peter, who was also Vice Patron of the Royal WA Institute for the Blind and made Citizen of the Year for Community Services in 1995. Meanwhile, the Channel 7 Telethon is a registered children’s charitable trust dedicated to raising funds to improve the lives of children and young people throughout Western Australia. They also fund a youth accommodation and support program for young parents and their children who are at risk of homelessness. Telethon also funds services which help adolescent patients who are unable to leave their hospital bed: providing entertainment, education and distraction from the boredom of hospital life. Support is given to a Vocational Training Program for students recovering after drug and alcohol rehabilitation. An enormous amount of benefit has come from the pockets of rank and file Australians, with the funds materialising like a voluntary form of taxation, but where the public and business comunity give willingly so others get a fair go. Quite the opposite to the greed people often attribute to the banks and CEOs, as reported regularly in the media. Even though the News generally leads with crime, disaster, war, controversy and all matters sensational, there are also the good news stories that come from the honourable citizens who make up most of the population, and are rarely in the limelight. Ordinary people doing extraordinary things, who are surely the backbone of our country and whats really happening, for in a sense they are bypassing the politicians and the bureaucracy in the expectation that their donations will be put to good use. Better than the waste often attributed to government spending. White City and Telethon have in common the formula of providing some amusement for a worthy cause, with a reliance on voluntary workers and great publicity, to gain in return many generous donations to help those who aren’t as lucky in life as the average fellow. Ugly Men’s References: The West Australian and Sunday Times newspapers and the 1993 Murdoch University thesis titled “A History of the Ugly Men’s Voluntary Workers’ Association of W.A. Incorporated” by Rita Farrell. Additional references came from the State Library of WA. 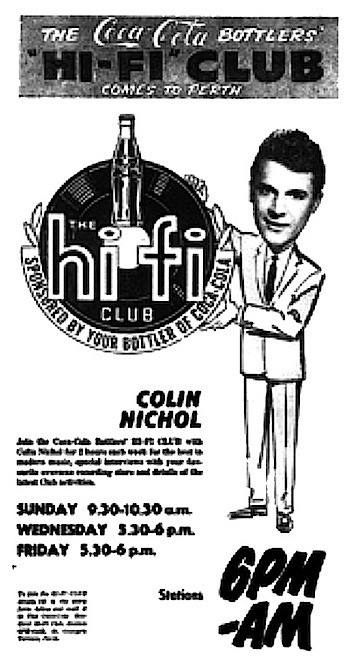 Colin Nichol kindly provided images and details of the Coca-Cola Hi Fi Club and 6KY, Gary Carvolth enlightened about 6PR and Club 7 Teen, and wish to thank Jan Boyd, Darcy Farrell and Stuart Joynt for their reminiscences. Thoroughly interesting article. I can’t help but feel landmarks such as Capitol Theatre and Temple Court could have, and should have, remained a part of Perth to this day. We really are too quick to discard our history. I am not just being sentimental here. I am of the generation that frequented the Perth Entertainment Centre during my younger years to see such groups as The Kinks, INXS, U2 and Adam and the Ants, among others, not to mention the likes of Howard Jones and Elton John. I was sad to see it go. But architecturally, it was no great loss – the same can’t be said for Capitol Theatre and Temple Court. Sad that I can’t share it with my own children.